You know you’ve made it big when you’ve landed a spot in one of the ritzier apartments in Manhattan for rent, but the journey is just getting started if you’ve recently made your move. In addition to moving and getting settled in, you’ve got to get yourself set up with a new workout routine to make sure you stay healthy and stay looking great while relaxing in your brand new domicile. Thankfully, there’s no shortage of options in places like the Upper East Side, but because there’s so much to choose from, you might also have a bit of difficulty trying to narrow things down and finding what works best for you. Don’t worry, though, because we’ve already rounded up some of the hottest that the neighborhood has to offer right now. All you’ve got to do is take a look at what’s popular and what might hold your interest, then sign up and enjoy all those personal fitness gains. There’s little doubt you’ve got your preferences when it comes to working out. In the interest of keeping things fresh, though, why not survey some of these options and consider adding a touch of something new to your routine? Combining yoga poses with hard-hitting hip-hop might not be everyone’s cup of tea, but if you think you can handle the challenge, be sure to give Y7 Studio a look. The Kickbox Haus on 81st street lets you know what they’re all about right up front. They specialize in kickboxing classes, of course, but also traditional boxing, MMA, and Russian Kettlebells. Take a “Haus Class” and be treated to 50-minutes of intense training, refining your technique, building strength, honing your skills, and sculpting your body in ways you might never have thought possible. 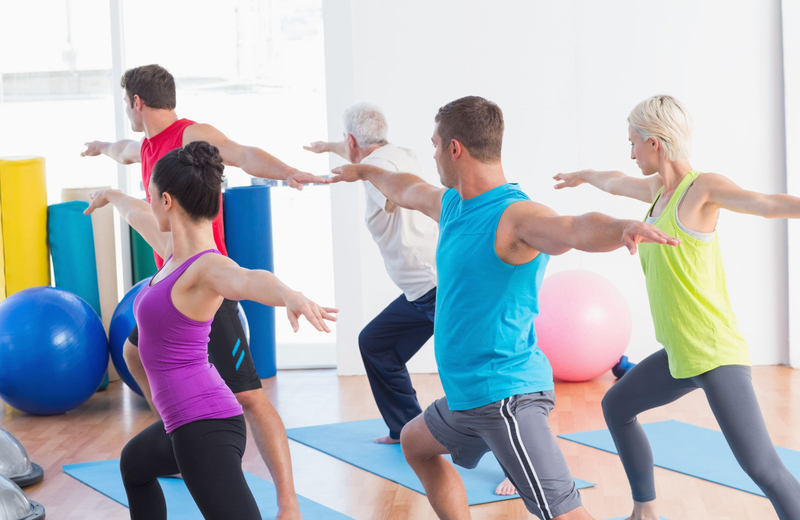 There’s plenty of other ways to get fit here too, so be sure to check their complete listing of classes to find out what might suit you best. Everything seems to come together at Barry’s, combining all the facets that comprise an excellent workout to get your body in peak physical condition. So go ahead, get dirty and see the results for yourself. You’ll find that with a little pain (and proverbial dirt) come substantial gains in regards to your level of fitness. It’s a form of exercise you’ve been capable of since childhood (provided your childhood involved a bike). Now, take this ubiquitous workout to the next level at Flywheel Sports. “You’re stronger than you think,” they boast, and after one of their high-energy 45-minute classes, you might find yourself digging deep to draw upon a well of strength you never knew you had. Here, you can build that “limitless body” you’ve been dreaming about, provided you’re ready to take on the challenge and give it your all. Maybe you overlooked Pilates classes when you first heard about them back in the day. Try a new approach and take on the Pilates Challenge at Pilates Reforming New York. All it takes is dedication to continued effort, and in time you will see some results. The true proof of the test, though, comes when others start to notice the fruits of your labors. That’s a more than achievable goal here, as the staff at PRNY are well-informed on the science behind the methodology, and committed to helping everyone — regardless of body type — better mold their physique. Don’t forget that when you’re not quite feeling like a trip to your normal workout classes, stellar communities like Renoir House have a gym right there on the premises. Even when you’re in a rush, getting a workout is as easy as heading downstairs and putting in a few quick sets. When you’re all finished, you can relax in one of the building’s serene common areas, the landscaped patio, or head right back to the comforts of your spacious unit and call it a day. The possibilities are many when you make the most fabulous Manhattan apartments your new home.